Denelle Rice Holland from Anderson, SC died peacefully on October 31, 2018. She attended Anderson College then Winthrop College where she studied to become a school teacher. She married Arthur Brown Holland in 1948 and moved to Port Arthur, Texas where they ran a hardware store and their first child, Chip was born. They returned to South Carolina and moved to Cheraw, SC in 1957. She was a member of the First Baptist Church of Cheraw and taught Sunday school there. She loved teaching, painting, playing the piano and going camping in the summers with her family. Upon retiring from teaching, she moved to Myrtle Beach, SC. She attended Myrtle Beach Baptist Church and drove the activities bus on occasion. 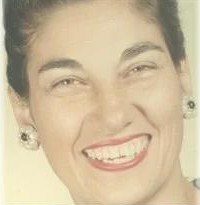 She was preceded in death by her parents, Don Dewey Rice, Sr. and Nellie Ann Strickland Rice, her brothers’ Perry Ray Rice, Don D. Rice, Jr and her husband, Arthur Brown Holland, Jr. She is survived by her four children; Chip (Dianne) Holland, Jan (Bob) Sylvester; Sandra Denelle Howard; Layne (Robin) Holland: seven grandchildren and five great-grandchildren. Graveside service will be held at 2:00 PM Sunday, November 3, 2018 at Garden of Memories Cemetery, in Belton, SC with Rev. Mike Moody officiating. The family will receive friends from 4:00 – 6:00 PM Saturday at Goldfinch Funeral Home, Conway Chapel. Goldfinch Funeral Home, Conway Chapel, is serving this family.